Physician and author Abraham Verghese tells us about CUTTING FOR STONE, his first novel after publishing two acclaimed memoirs. 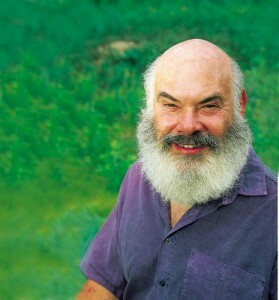 And Dr. Andrew Weil talks about how to age healthy and well. Abraham Verghese’s, first book, his memoir [amazon-product text=”My Own Country: A Doctors Story” type=”text”]0679752927[/amazon-product], is used as a text in medical schools because of its focus on empathy in the practice of medicine. His second book, [amazon-product text=”The Tennis Partner” type=”text”]0060931132[/amazon-product], recounts his friendship with a medical resident whom he taught and with whom he played tennis–and the lessons Verghese learned about the limits of medicine as his friend succumbed to the disease of drug addiction. Now Verghese has come out with his first novel, a love story as much about medicine as it is about twin brothers whose bond is tested by their passion for the same woman. [amazon-product text=”CUTTING FOR STONE” type=”text”]0375414495[/amazon-product] follows the twins from their birth into adulthood. Born of the unlikely union of a nun and a surgeon in Ethiopia during the reign of Haile Selassie, the boys lose both their parents at the moment of their birth. Their mother dies; their father deserts them. But they are raised by two loving adoptive parents–both doctors at a mission hospital in Addis Ababa. And the twins become doctors themselves. Verghese’s novel draws the reader into a saga that reveals the universal connections between human beings, in love, in conflict and in healing. Andrew Weil tells us how the key to healthy aging lies not only in a good diet and exercise, but also in accepting the spiritual gifts of growing old. He gives us tips on how to make our later years some of the best of our lives. His book is [amazon-product text=”HEALTHY AGING: A Lifelong Guide to Your Physical and Spiritual Well-being” type=”text”]B000N5977Y[/amazon-product]. I just read “Cutting for Stone” for the second time…and for the second time I hated for it to end. 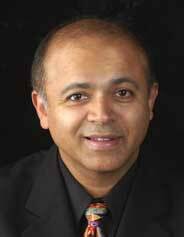 Dr. Verghese’s book is one of the most intelligent, compelling and intensely interesting books I’ve ever read. I wish I could thank him in person for this brilliant work!